It is critical for movers to stay on top of the news about the real estate market. After all, nothing has a greater impact on your business. Since you’re busy, we’ve done the legwork for you. In this blog, we’ve compiled Spring real estate news from around the country, including the Top 5 Real Estate Markets right now. There is one common message in the news from nearly every part of the country this spring - home inventory is low! 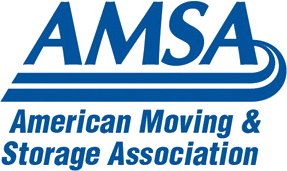 It is going to be a competitive Spring and Summer for movers. 1. CNBC is reporting this could be one of the fastest markets on record and pulls anecdotal evidence from the Los Angeles area, including homes getting up to 60 offers on one home. Click here to read the entire article. 2. Wondering how your neck of the woods compares? Check out this article from Housing Wire on “The Top 5 Real Estate Markets of 2017”. 3. The National National Association of Homebuilders has just reported its highest levels of housing market confidence in over 12 years. How will the predicted activity impact your marketing strategy? Homes that come on the market will be moving fast, and those homeowners will need movers right away. Movers will be competing for fewer jobs and they need to get in front of customers first if they want to win the job. Do you have a plan on how to reach homeowners right away so your company is considered? If not, now is the time to ramp up your marketing. At MovingLeads.com, we monitor the real estate market and every Monday we provide a list of homeowners that have just listed their home for sale and are ready to hire a mover. Our automated postcard service is a hassle-free way to reach these homeowners before anyone else. Take a look at this video that shows our on-demand printing process. We print, cut, label and stamp within seconds. MovingLeads.com does all the work to make sure that your postcards are sent every Monday so that your introduction reaches the homeowner within days of listing. With your information delivered quickly, you will be considered for the job! Questions? Give us a call at 303-443-0767.